It is a truth universally acknowledged that getting enough quality sleep is important for your well-being. The growth in the number of devices offering sleep-tracking features in recent years shows that companies are catching on. But sleep is a difficult metric to measure and understand, and most trackers these days can tell only when you've been asleep and awake. 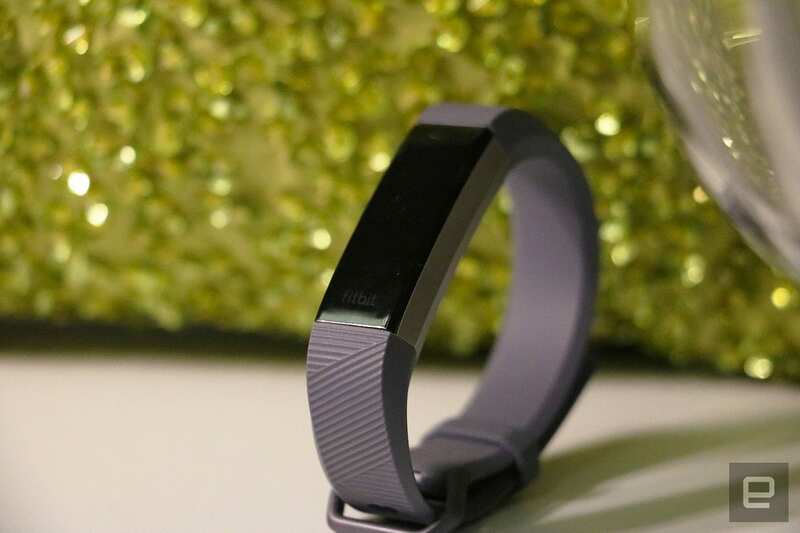 Fitbit's latest wearable goes one step further than the competition, incorporating your heart-rate data into its algorithms to estimate what sleep state you're in. The $150 Alta HR improves on the original, with a new heart rate monitor that constantly keeps tabs on your pulse. A software update that arrives on the Fitbit app today provides deeper analysis of how you're sleeping. The new feature sounds potentially helpful, but after a few days with the new Alta, I don't know if I can trust that it's accurate. I also wish it were more consistent and easier to understand. Before we get into all the things the Alta HR can do, let's take a moment to examine how little its design has evolved. 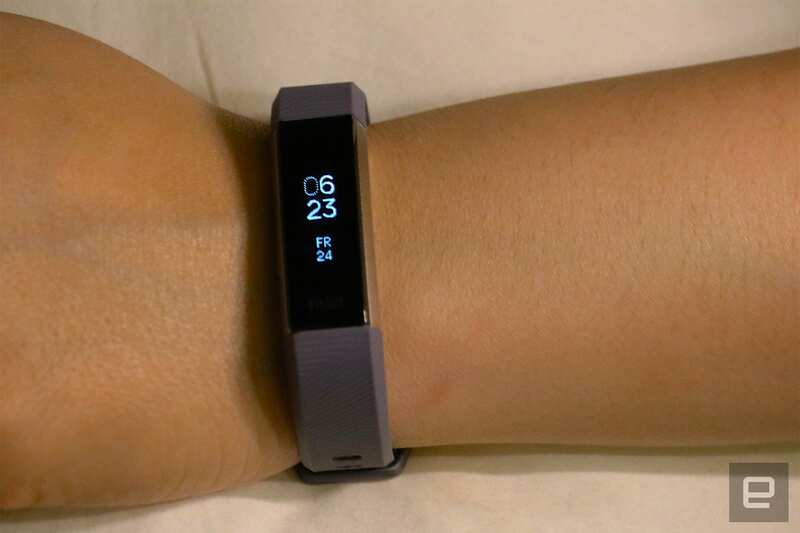 Like the original, the new Alta has a narrower footprint than Fitbit's flagship Charge tracker, making it look more like a bangle than a cuff. My colleague Devindra Hardawar liked the Alta's design when he reviewed it last year, but I'm less impressed by its plain, blockish aesthetic. 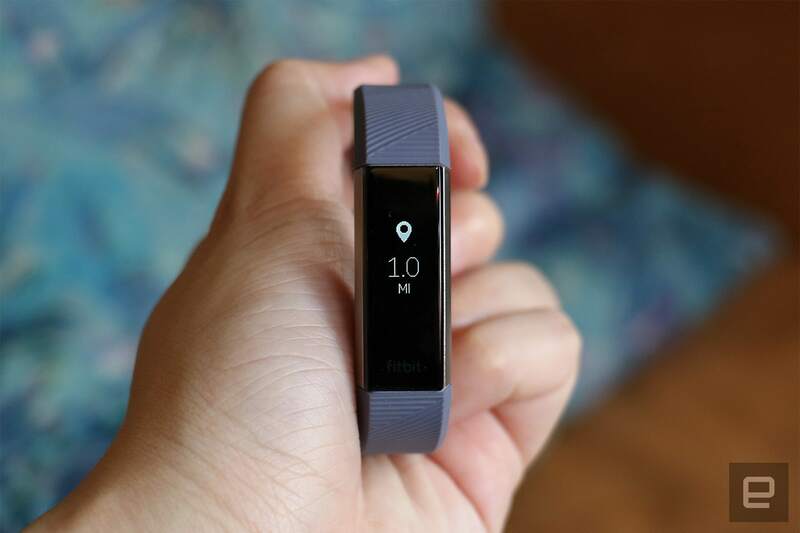 Still, the Alta HR looks inoffensive and feels comfortable, and Fitbit offers a diverse variety of swappable bands for you to personalize the device. 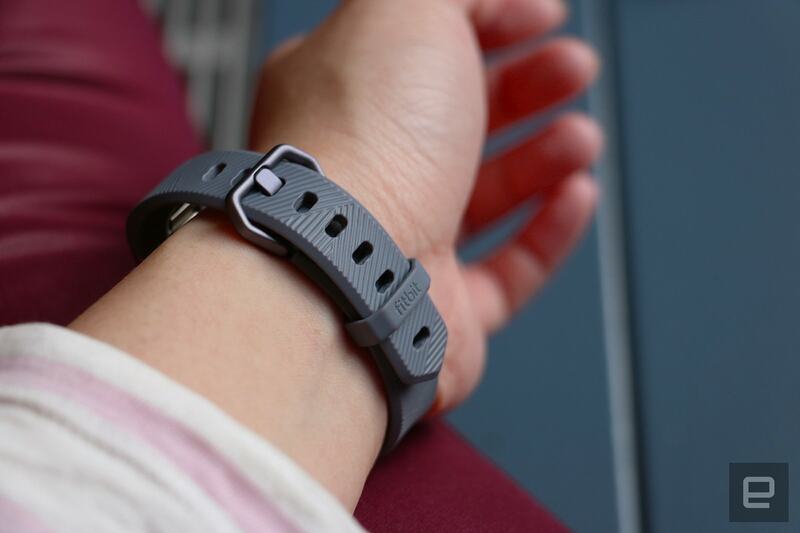 Speaking of straps, I like that Fitbit has replaced the peg-and-hole closure on the original Alta with a watch buckle, making it easier to fasten. In addition to that and the new heart rate monitor on the underside, the updated Alta looks nearly identical to last year's model. Oh, and like every other Fitbit, the Alta HR is water-resistant enough to withstand rain, sweat and light splashes, but the company cautions against taking it in underwater or in the shower. On to what makes the Alta HR special, then. The device delves deeper into sleep analysis than other fitness trackers. While most other devices use just accelerometer data and an algorithm to figure out when you're asleep, the Alta HR also taps your heart rate variability as a source of information. This lets Fitbit estimate what stage of sleep you enter (REM, deep or light) and track how long you stay in each phase. As a refresher, humans don't just fall asleep and wake up feeling energized. Research shows that the body and brain go through five or six sleep cycles a night, with each round including different types of slumber. During the REM stage, for example, you're likely to be having vivid dreams as your brain recovers from the day and forms memories. In the deep sleep part of the cycle, your body is repairing itself. The good news is the Alta HR's sleep stage-tracking tool works, and I love waking up to a colorful, detailed sine-like wave graph of my time in bed. Below that is a bar chart that breaks down the exact duration in each zone, telling me I spent four hours in light sleep, an hour and a half in deep sleep and about the same in REM. Fitbit's estimates of when I was awake mostly matches my fuzzy memory of being conscious while I tossed and turned or when I had to dismiss a phone alert, although that's not a very scientific assessment. The bad news is that the Alta HR's sleep tracking can be inconsistent, at least if the pre-release unit I tested is any indication. I was disappointed one morning to find my sleep-tracking chart for the night didn't include any sleep stage information. There was only movement-based data about how long I had been awake, restless and asleep. The company explained that there could be several reasons for the discrepancy. The Alta HR could stop tracking your sleep states if you slept for less than three hours or your battery level is critically low. Also, "your tracker needs to detect your heart rate to estimate your sleep cycles. If you slept in a position that prevented your tracker from getting a consistent heart-rate reading or wore it too loosely, you may see your sleep pattern... instead of sleep stages for the previous night." So that means I have to make sure my arm doesn't shift into an Alta-hindering position all night. Someone should tell Fitbit that is basically impossible. It's easy enough to make sure you've put on the tracker securely around your wrist before going to bed, but you can't guarantee that your arm doesn't move and nudge the device out of position while you're passed out. I found during my testing that fastening the Alta HR tighter than I normally would helped ensure it didn't budge, but that's slightly uncomfortable and I ultimately didn't find the discomfort worth the information gleaned. Fitbit should also improve its app's Sleep Insights. When you tap the Benchmarks button on each day's results page, you'll see a shaded bar laid over each sleep stage indicating how long people in your age range and gender typically spent in each zone. It's nice to compare my performance with my peers, but the data otherwise didn't tell me how well I was sleeping. I found myself Googling "How much time a night should I spend in REM sleep?" -- which is information Fitbit could have easily provided within the app. Based on each night's performance, the app will offer encouragement and education on how to get better sleep. 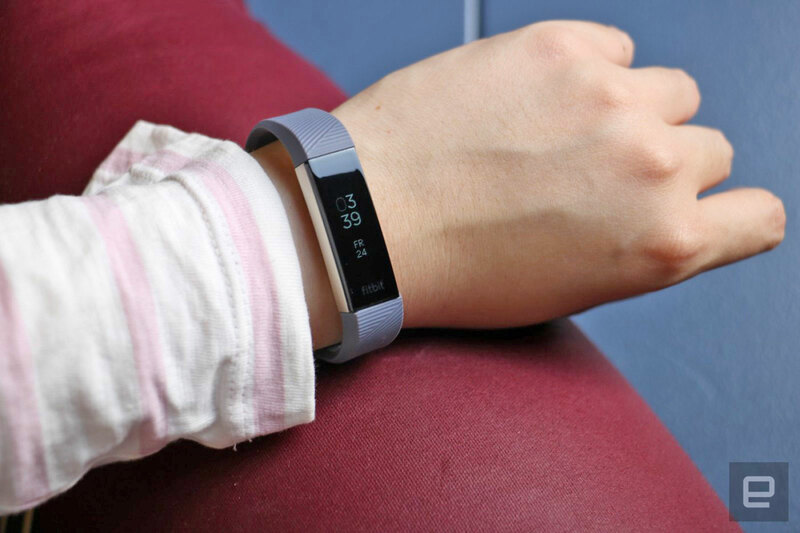 Over time, Fitbit's system is supposed to learn your habits, sleep patterns and activities, and tailor its advice to what it knows you're doing. Since I've only been using the Alta HR for a few days, the tips I've been getting have been generic. Each morning, I get a message within the app that either congratulates me on meeting my seven-hour sleep goal or encourages me to work toward that milestone. My few complaints aside, I'm satisfied that the Alta HR's new sleep tracking features work as promised, although its accuracy is hard to verify. The rest of the device's functions are the same as they were on the original, except that with the added heart rate sensor you can now monitor your cardio performance while you exercise. As before, the Alta HR sports a "Tap Display," a pseudo-touchscreen that uses an accelerometer to tell when you're jabbing at the panel. It's much less sensitive than a typical touchscreen, and takes some time to get used to, but it's easy enough to activate once you figure it out. The screen is supposed to wake up from sleep and display your selected watchface when you raise your arm, but this feels sluggish in practice. I have to move my wrist very deliberately before the Alta HR's display will light up. That's more frustrating than having to jab harder at a screen to use the device. Fitbit continues to promise seven-day battery life for the new Alta, and based on my testing, that's actually a conservative estimate. In the two days since I last plugged in the Alta HR, its battery indicator still says it's fully charged. That's impressive, given that the device has been continuously monitoring my pulse while relaying a handful of alerts from my phone each day. I also check my heart rate at least a few times a day, particularly after climbing up five flights of stairs to my walk-up apartment. Ultimately, the Alta HR is a successful follow-up to its predecessor, thanks to its new heart rate sensor. It's also one of the more full-featured general-purpose fitness and sleep trackers on the market. Depending on your taste, you might appreciate its bland design too. Those who don't mind a chunkier bracelet should consider the more-capable Charge 2, though. It offers more advanced and precise tracking with its exercise modes and cardio fitness level features, all for the same price as the Alta HR. The Charge 2 will be getting the same sleep stage-tracking feature in April with its next firmware update. But that means it will track the same unverifiable sleep data, which is unlikely to be helpful, regardless of the device it's on.